Axiomtek's wide-temperature SBC84823 3.5" embedded board supports an industrial temperature range of -40°C to 85°C. The SBC84823 utilizes the industrial-temperature grade Intel Atom processor Z510PT (1.1 GHz) or Z520PT (1.3 GHz) and the Intel System Controller Hub US15WPT. One DDR2 SODIMM on board implements up to 2GB of system memory. 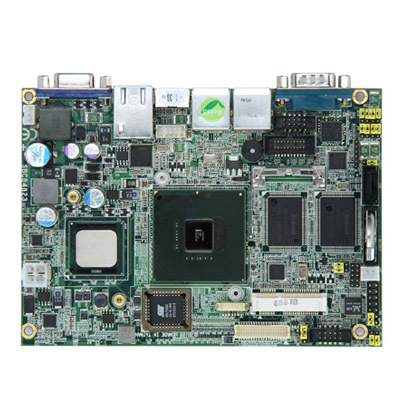 Moreover, the cost-effective SBC84823 features dual-display by VGA and LVDS, one Gigabit Ethernet, six high-speed USB 2.0 ports, one SATA-300, one MiniPCI Express, and high definition audio interface. The SBC84823 is the ideal solution for low power, wide temperature and fanless devices in applications such as medical, outdoor embedded system, industrial control, and gaming machine.